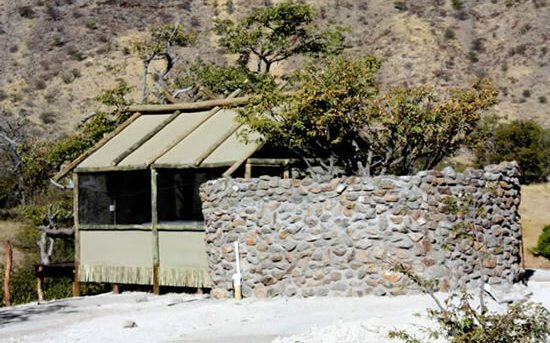 Khowarib Lodge is situated on the banks of the Hoanib River. 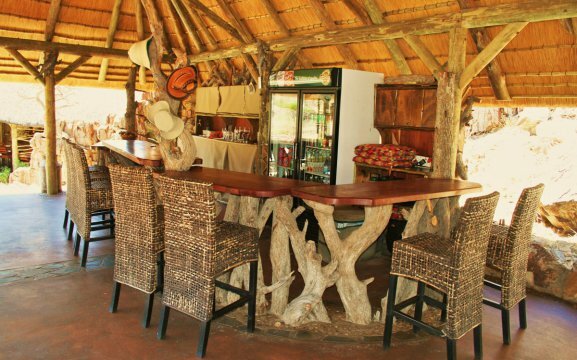 It features an outdoor pool, comfortable accommodation and campsites, a lounge, bar, dining area and curio shop. 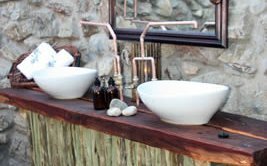 All meals are served a la carte menu, except for breakfast which is buffet style. 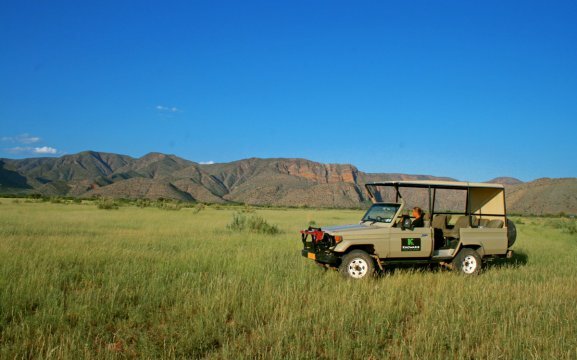 We have a variety of wildlife such as the Desert-adapted elephant and rhino, oryx, zebra, giraffe, kudu, black-backed jackal, springbok, klipspringer and many antelopes. We also have a lot of bird species for the birders, such as lanner falcon, greater kestrel, Tawny eagle, Burchell’s courser, Namaqua sandgrouse, rock martin, Cape sparrow, larks, dusky sunbird and pale-winged Starling. 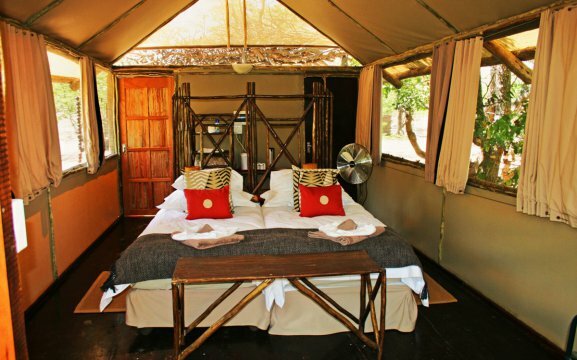 Our accommodation consists of 2 family units, 12 chalets and eight campsites. 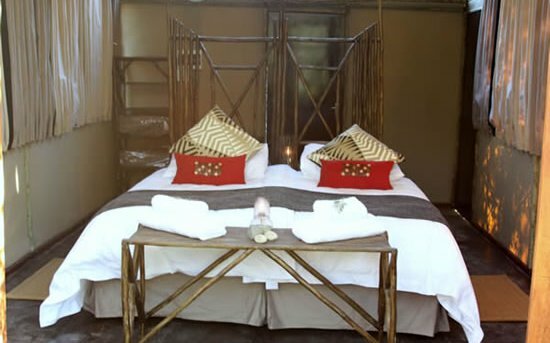 All rooms feature en-suite bathroom, private veranda, tea/coffee facilities, in-room safe, fan and mosquito nets. 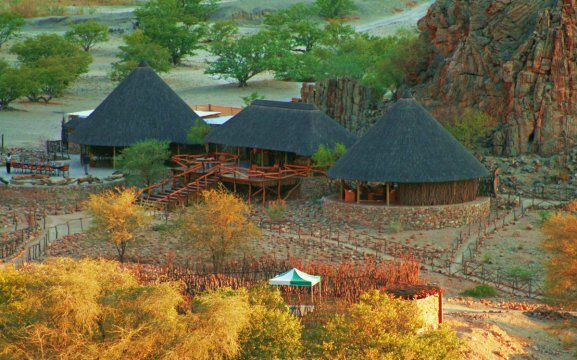 The campsites have 220v electricity, light, ablution blocks and braai facilities. 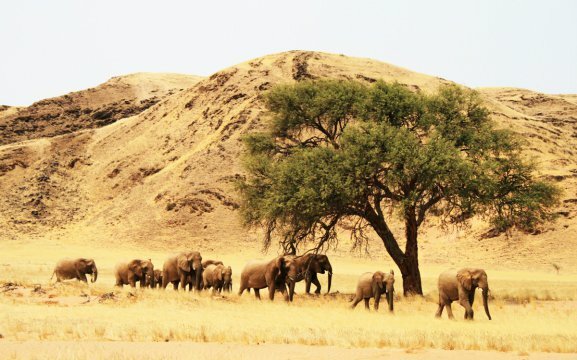 Activities at Khowarib include a visit to the Himba settlements, large rock hill, desert elephant experience, rhino tracking, guided walks, game drives and birding. 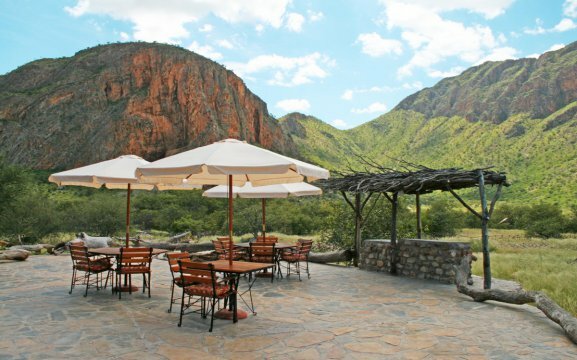 On our full day guided trip through the Hoanib River, guests can see a lot of wild animals and enjoy a lunch in nature. 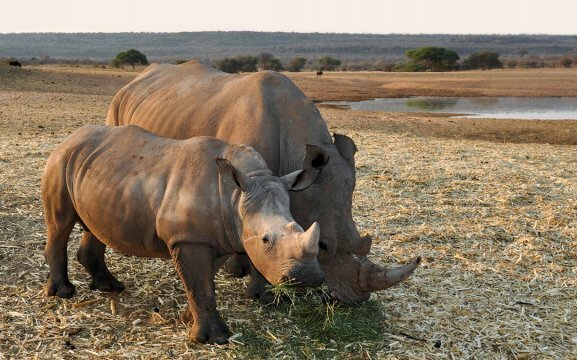 We offer rhino tracking just after breakfast, heading south into the Palmwag Concession, here rhinos are monitored by the Save the Rhino Trust (SRT) and oversee the safety of approximately 130 rhinos. 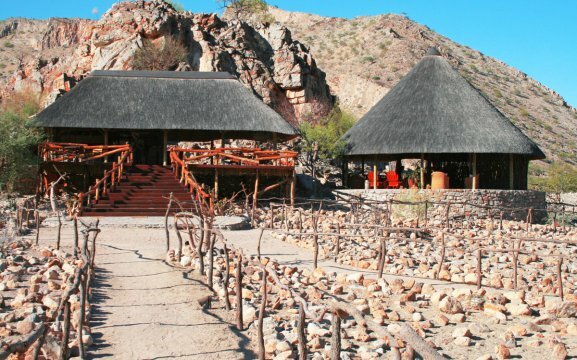 Do an early morning visit to the Himba tribe and learn more about their history and lifestyle. We also have the rock art excursion, where guests can see some of the 2,000 rock engravings in the region.